Some rather large fields to contain with on Sunday, starting with the P.P Hogan Memorial Cross Country Chase, where the selections are Josies Orders and Home Farm. Josies Orders - a household name from Cheltenham Festivals far and gone, is very much a regular on the cross country scene now, winning and placing already at Presbury Park this season. Restored to a mark of 135, she could be well in here, alongside Gearoid O'Loughlin's Home Farm, who has competed at a high level at his peak, and proved he retains ability on his most recent comeback run at Belharbour. Both should make the frame. Prince D’Aubrelle was due to make his long awaited comeback last week at Leopardstown, but skipped that fixture for a place in this week's Listed I.N.H Stallion Owners EBF Novice Hurdle. Incredibly, this 9yo has only ever raced six times - five of which in bumpers. He won as many as three back in 2015, before a length injury kept him sidelined until May of last year, where he returned to win on his first start over hurdles at Tipperary. Again we have had been forced to wait for his next reappearance, but clearly held in high regard by his trainer at home who has had to be oh so patient with him. Leading player if retaining former ability. 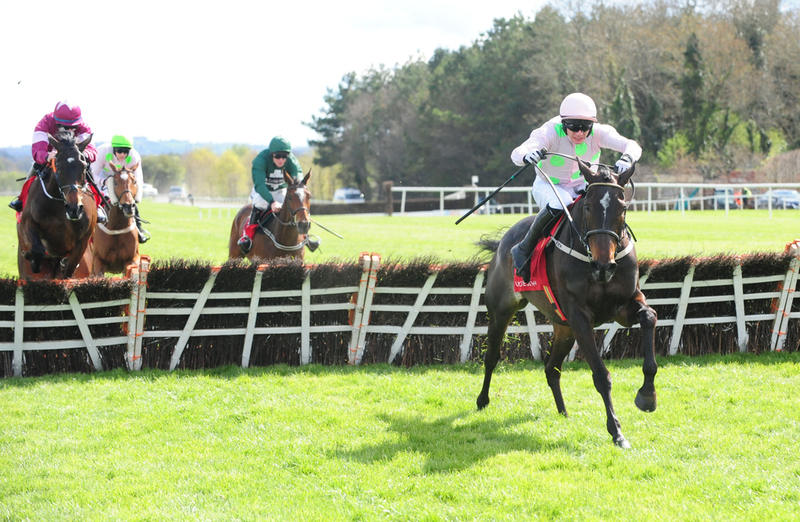 The Punchestown Festival Ticket Deal Discount Maiden Hurdle consists of another considerable amount of horses, and we are left undecided between Lethal Steps and Lighthouse Warrier. Lethal Steps - one of the fresh imports for Gordon Elliott from Cheveley Park has made a promising start to life in the National Hunt scene. A useful horse on the flat for Graham Lyons converted to timber for the first time back in December when finishing fifth in a maiden, before a much improved second at Naas just two week ago - behind a horse who competes in the EMS Copiers Rated Novice Hurdle at Naas on Saturday. He should hold a strong chance for an increase in progression and improvement, whilst you cannot take your eyes off Lighthouse Warrier (correctly misspelt), who is yet to finish outside the top two in all of his six lifetime racecourse appearances. Three straight second placed finished over hurdles, surely deserves one here. Sea Scorpion could improve on his good third at Limerick over Christmas in the David Trundley Artist At Punchestown Handicap Hurdle. A son of Scorpion has proved he has a quirky side and could have a win in him off this mark after returning to form on his latest start. Up just 2lb, and has serious each way expectations. Jessica Harrington's horses in the Robcour colours have been in sparkling form of late, and Impact Factor - who ran into a smart type at Gowran last time, has solid chances of taking the Richard Maher Memorial Rated Novice Chase over two miles. Cilaos Emery looks one of the main players in next month's Racing Post Arkle at Cheltenham, were Impact Factor was only four lengths down and kept on well for second. The fourth - Ex Patriot has come out and won since at Thurles on Thursday, so surely will play a part in the finish again here in a weaker-looking contest. The big race of the day - not just in terms of distance is the Grade B BoyleSports Sponsors of the Irish Grand National Trial over three and a half miles, with the field so large again, we have had to bring it down to two selections. Solumn Grundy was a decent horse in Britain for Neil Mulholland - a winner of several nice valuable races, and now makes his third start for Henry De Bromhead. He has made a promising start to new life based in Ireland, with a second on stable debut in a Grade B Handicap, before a close-enough fourth in the Paddy Power Chase. Two smart efforts, now gets the long awaited step-up in trip, and is certainly one for the shortlist. The form continues to stack from that Paddy Power Chase, as Fitzhenry finished half-a-length in front of Solumn Grundy and just eight down on subsequent winner Auvergnat - who has always been a top class horse for Enda Bolger. Usually makes the frame in these big handicaps, including a victory at Naas around about this time last year. Should make a convincing challenge. Reasonable Doubt makes his first start for Alan Fleming since winning a maiden point at Dromahane in May 2017, and although it may raise one or two eyebrows over his lengthy absence, he looks a major danger if living up to his name in the Punchestown Festival 30th April To 4th May INH Flat Race. Now sporting the colours of Barry Connell, this 6yo is a son of Robin Des Champs, and a first foal out of Maggie Mathias. Related to plenty National Winners including Marching Marquis who won over hurdles and fences in between the distances of 2m4f and 2m7f, so a step-up in trip looks destined in the future.